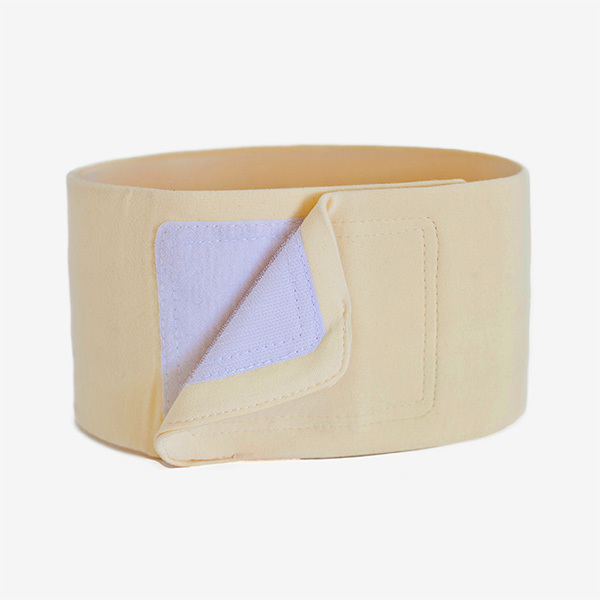 The 100% cotton covered elastic Hem-It-In Belt can be worn immediately after vaginal birth or 2-3 weeks after a c section. Wearing the abdominal binder helps your tummy shrink and protects your incision as you recover from a c section. The Hem-It-In Belt is our core belt, with a 6 inch Velcro® closure attachment pad. The belt ranges from 6″-10″ wide, so your size and support needs can easily be met. Soft cotton covers our elastic, so it’s comfortable and cool. Great for wearing under clothing, for the discreet support needed as you get back to enjoying life with baby. Great for post vaginal birth also! *The interior elastic of the AbdoMend™ Support Belt & Strap contains latex. Tip: To make the Hem-It-In Belt smaller, turn it inside out. *Weight, Height and type of body (larger hips vs breasts) Must be taken into account. The AbdoMend™ C Section Recovery Belt, Hem-It-In Belt or Kit is to be used in conjunction with Doctors care and does not substitute for a Doctors care. Any fever or signs of infection please call your Doctor.